SATS - 4QFY18 Below Expectation Due To One-off Treatment In Associates. SATS Remains Bullish On Gateway Services. 4QFY18 results are below expectation mainly due to lower associate & JV profits. SATS however indicated that this was due to a one-off accounting treatment. We are also pleased with the fact that SATS’ gateway services revenue, ex-deconsolidation of SHK, rose 8% in 4QFY18, while ROE for the division at 19.6% was the highest in six years. Going forward, SATS expects continued pax and cargo traffic growth, which should underpin gateway services growth. Maintain BUY. Target price: S$5.70. Core net profit flat y-o-y, below our expectations. Excluding one-offs, 4QFY18 net profit would have been flat y-o-y, and was 1.9% and 22% below street and our estimates respectively. JV & sssociates income fell 16.7% y-o-y, solely due to amortisation of intangibles and a S$4m reduction in surplus on Purchasing Price Allocation (PPA) at associate Evergreen Sky Catering. SATs declared a final dividend of 12 S cents, bringing total dividend to 18 S cents, up 1 S cent from FY17. Headline ROE was flat at 16.2%, but underlying ROE declined 0.4 ppt to 14.8%, due mainly to lower ROE from the food solution segment. Operating profit was flat yoy but SATS still demonstrated operating leverage in 4QFY18, excluding deconsolidation of SATS HK (SHK). Excluding deconsolidation impact, 4Q’s and FY18’s revenue rose 2.2% and 1.5% respectively, mainly due to strong gateway services revenue (+8.3% in 4QFY18) out of Singapore. Licence fees rose by S$4.5m in 4QFY18 due to cessation of rebates at Changi. Excluding this, operating profit would have risen by 10.4% y-o-y in 4Q18. Meanwhile, gateway services revenue rose 8.3% y-o-y in 4QFY18, resulting in annual ROE for the division rising to 19.6%, (+3.9ppt) and was the highest in six years. We reckon both volume and ASP would have increased for the gateway services division in FY18. SATS also highlighted that excluding the deconsolidation impact, staff costs would have been flat y-o-y. JV & associate income rose 9% for FY18 but dividends are below expectation, amounting to 35% vs last year’s 63%. SATS indicted that this was mainly a timing issue. Key contributors were PT JAS, AISATS and Oman SATS. SATS is optimistic of pax and cargo business, though it expects pressure on local inflight catering to continue. We had initially expected pricing pressure to abate somewhat as pax yields rise, but SATS does not expect that. Still, SATS could still wring out operating leverage from incremental gateway services. SATS also guided for S$20m- 40m in capex for Turkish Airways kitchen. Key challenge is to improve returns on JVs and associates, especially since SATS will be investing a substantial amount in these ventures. In FY18, food solutions and gateway services associates generated ROE of 9.7% (-2.3ppt) and 9.2% (-0.8ppt) respectively. We are also not confident that SATS’ gateway services JV with AirAsia will boost ROE, given that operating margins for Malaysian ground services handlers amounted to just 4.6% in 2016. 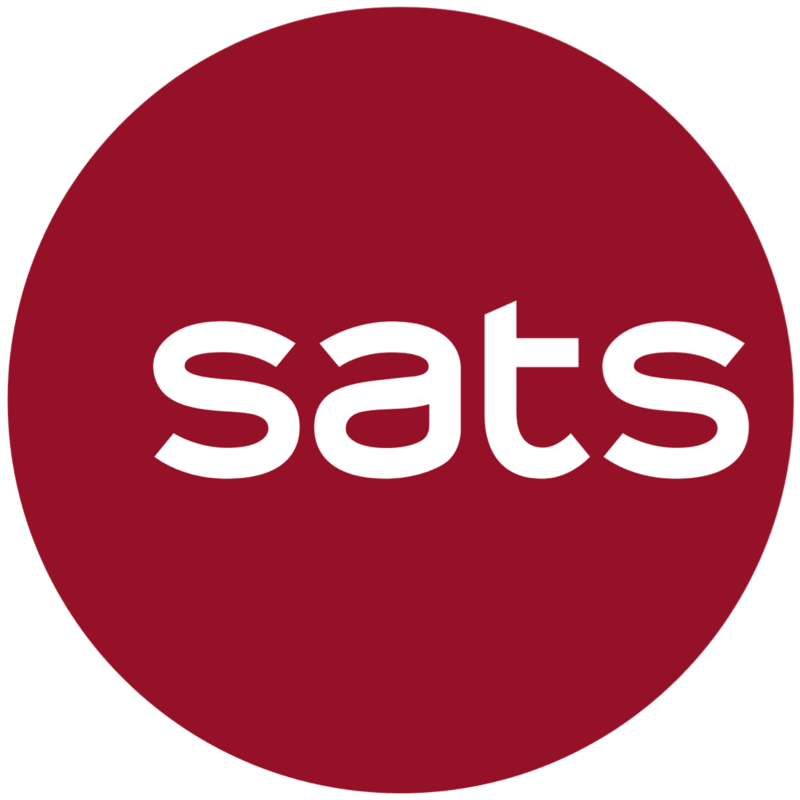 In comparison, SATS generated an operating margin of 10.1% in FY18 for the gateway services division. We raise our FY19 net profit estimates by 2.9%. This is mainly because SATS indicated that it would not recognise any losses, post investment in Beijing Ground Services. Maintain BUY, with a target price of S$5.70 (S$5.80 previously). We continue to value the company with WACC of 6.3%, long-term ROIC of 15.4% (previously 15.7%) and growth rate at 3%. At our fair value, the stock will trade at 24.3x FY19F PE and an ex- cash PE of 23x. Including the dividend of 18 S cents, total expected return is 11%. None in the near term.